Unfortunately, these same decorations may increase your chances of fire. As a matter of fact, the National Fire Protection Association (NFPA) estimates that there are more than 200 structure fires that are caused by Christmas trees every year. Each year, these fires kill about 25 people, injure dozens and cost close to $14 million in property damage. Many of these accidents and fires could have been prevented if residents were more aware of the dangers that accompany this joyous holiday. It’s also important to remember that you may have taken all of the proper safety precautions to keep your home fire-free this holiday season, but there are still risks from neighbors, apartment complexes and businesses. All of these places have an obligation to fire safety. This may mean that condos, businesses and homeowner associations may set rules and regulations regarding decorations to help ensure tenant and visitors are not at undo fire risk. Our Watertown personal injury attorneys understand that fires are still possible even with strict rules, regulations and precautionary measures in place. Sometimes fires can start because of shorts in electrical lights. Still, we’re asking everyone to check out their holiday decorations, place them strategically and talk with friends and family members about these threats. Officials with Watertown, Massachusetts are here to offer you some safety tips for your Christmas tree and other holiday decorations. -Avoid putting up your tree too early. -Don’t leave your tree up for more than 2 weeks. -Keep trees away from heat sources, including heat vents or fireplaces. -Keep the tree live and hydrated with water at all times. -Never leave your holiday lights on or unattended. Consider setting timers for your outdoor lights if you’re not going to unplug them before you go to bed. -Do not link more than three strands of lights together unless the directions state that it’s okay. 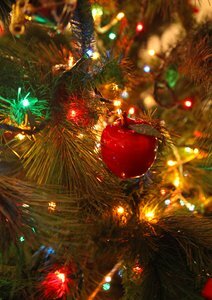 – If you’re using an artificial tree or a metallic tree, make sure it is flame retardant. -Avoid using candles. If you want the same effect, go at it safely and use flameless candles operated by batteries. -Make sure that none of your decorations block any exits. -When your tree dries out, get rid of it immediately. The best way to do this is to take it to a recycling center or have it picked up by a community pick-up service. -Check out your holiday lights before using each year. Look for cracked sockets, gaps in insulation, bare spots, frayed wires or excessive kinking. -Never put lit candles on a tree. -When using candles, do not place them near any other surfaces, especially fabrics, furniture or any loose ends. -Never put wrapping paper in a fireplace. If you or a loved one has been involved in an accident in the Greater Boston area, contact the personal injury attorneys at the Law Offices of Jeffrey S. Glassman, LLC for a free consultation to discuss your claim. Call 1-877-617-5333.